My name is Rick, owner of Wolverhampton Locksmiths. I have been working in the door repair industry for nearly ten years repairing uPVC and commercial doors across the West Midlands area. 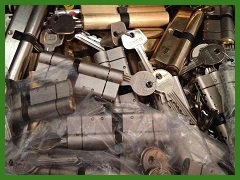 I specialise in the repair and replacement of uPVC door locking mechanisms alongside my main trade as a local locksmith, fitting and repairing all manner of locks and door hardware. As a genuine local tradesman I can guarantee to beat any door repairs quotation from national competitors advertising in my area of the West Midlands and can usually have it all completed the same day for you. No messing around, reasonably priced and highly recommended by all of my local clients. For a free no obligations quotation you can contact me directly on 07724828289. 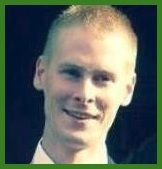 M.Pearson, West Midlands: "Rick was polite and professional. Our uPVC door was unjammed and repaired within the hour at a fair price." R.Done, Bilston - Door Repair: "Over Ѓ100 cheaper than two other quotations. Thanks for a job well done." 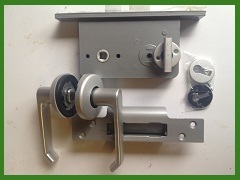 K.Paulson, Penn - Door Repair: "Obtained parts for our old Everest door that nobody else seemed to have in stock. Highly recommended trader would use again." 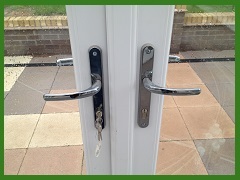 M.Watson, Pattingham - Locks Changed: "Rick upgraded the locks on all of our doors after we were burgled whilst on holiday. 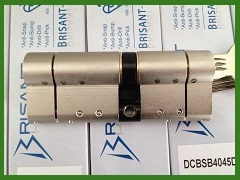 I feel much more secure knowing that we now have the best door locks for the job." R.Haddock, Stafford - Lock Repairs: "We found this number on your reviews page and was not disappointed with the quality of the work, very thorough and a job well done." uPVC doors account for the majority of door repair work I complete in the West Midlands. These are complicated locks that are prone to many faults if not serviced regularly by the users. Once the doors have dropped slightly or parts have rattled loose over time, the lock and its keep will fall out of alignment causing the operation of the locking mechanism to feel stiff, crunch when locking or not lock at all. It is advised to get the problem sorted at this stage as often all that is required is a few adjustments to get the door working smoothly again, however this is rarely the case and users tend to live with the faulty lock until it finally gives up. 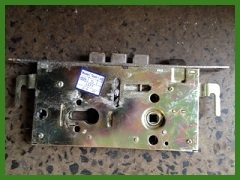 A uPVC door lock can only take so much abuse, the gears inside of the center case are cast metal and will inevitably shatter, jamming the whole locking unit once too much force is applied. Often this is where I get called in to unjam the door and replace the locking mechanism which is a lot more expensive than a door adjustment would have been earlier on down the line. Composite doors and some wooden doors incorporate the same multipoint locking mechanism as uPVC doors, which can be identified by the many hooks and bolts that are thrown when the handle is pushed upwards. This is all then locked in place by the turn of a key in the lock cylinder below. You may already be aware of snap resistant or 'anti snap locks' that are now available for upvc style doors. In fact they have been around for several years however have soared in demand due to the lock snapping technique becoming more common on the burglary scene. Burglars are basically exploiting a weakness in the design of older lock cylinders fitted to uPVC doors and incorrectly fitted locks. Anti snap locks prevent the lock being broken away from the door and usually incorporate a sacrificial break off section combined with a reinfoced lock body to prevent easy removal of the lock by force. A lot of insurance companies now specify a certain level of protection depending on their policies, usually in the form of a BS rated cylinder or TS 1-3 star rating. Door locks for commercial premises can often be tricky to source if you no longer have the details of the installer. Each door manufacturer has its own preferred hardware installed which are usually unbranded and only available from specilaist trade suppliers. Sending a photo, measurements and any distinguishing features will help identify the parts required. 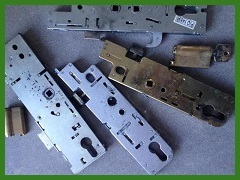 Generally commercial door parts can take a little longer to obtain, particularly obsolete and unusual examples or locks that may need mastering by hand. A variety of restricted profile and high security locks are available for particularly vulnerable premises and shopfronts in the West Midlands.